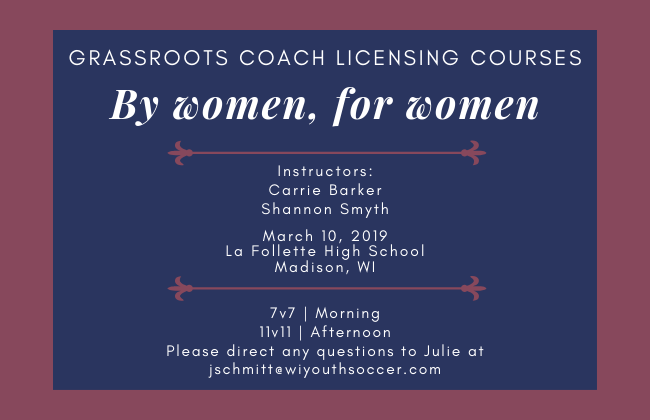 In collaboration with the Wisconsin Women's Soccer Advisory Council, WYSA would like to present its first grassroots coaching courses for women, by women. The 7v7 and 11v11 courses will be led by instructors Carrie Barker and Shannon Smyth on March 10 in Madison, Wisconsin. Registrants must but at least 16 years of age.